Wait, that description looks weird to me. 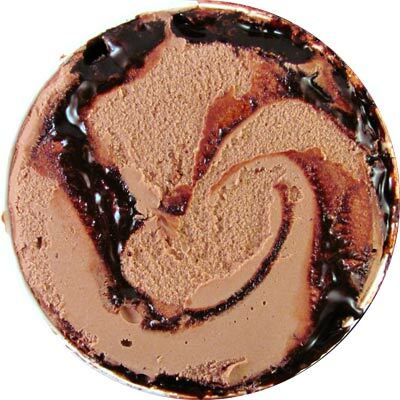 What exactly is a chocolate ice cream swirl? According to the ingredients there's a fudge swirl. Shouldn't it be something like chocolate ice cream swirled with fudge and brownies?? Not fancy enough for you, Walgreens? Oh well, moving on. 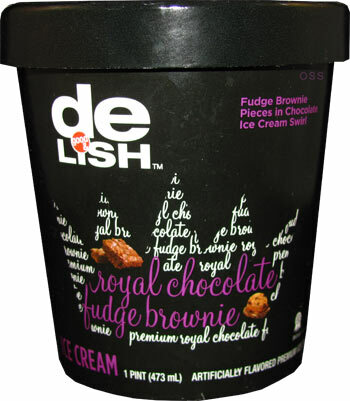 To give a little background, as far as chocolate ice cream + brownies flavors go, I'd rank Ben & Jerry's among the top. Even with their mediocre chocolate base, those Greyston Bakery brownies make up for it and more. They're seriously some of the best brownies on the market. I'd say they're even better than my mom's homemade brownies (Thankfully she doesn't read my reviews). 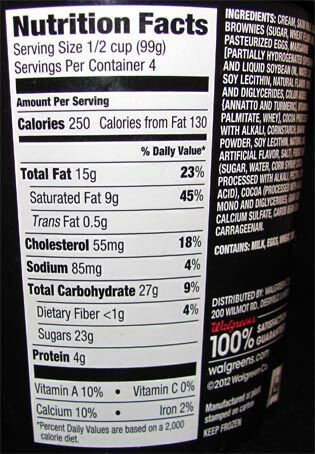 However, I always feel like that flavor needs more to it because of that base. Maybe a fudge swirl? Oh hey, this flavor has one of those! Maybe there's a chance for Ben & Jerry's to be dethroned. Whoa, hello there Mr. Fudge Swirl. I was not expecting to see this much swirl from the get go. The fudge swirl is more liquid than it it solid. Thankfully it's more like hot fudge in thickness and not some of the syrupy "fudge" companies try to sell you. The flavor is just that of hot fudge as well. There's a good amount of bitterness and dark chocolate qualities going on making for nice swirl. The chocolate base is more on the milky side making the swirls' darkness more noticeable. The two work well together but the fudge swirl tends to get smaller and stays towards the side the more you get down the pint. Now this wouldn't be a brownie flavor without brownies right? Well, you're wrong. These mix-ins are far from brownies. They're more like chocolate cake textually. They just don't have the gooey, richness you find with a nice brownie. Don't get me wrong, they're not bad by any means and are quite prevalent. Just brownies, they are not. Overall, this is a good yet misleading flavor. They should rename it chocolate lava cake instead because that's exactly what you're getting with this pint. If you're looking for brownies, keep on looking. If you're looking for a new chocolate fix, give this one a go! Verdict? The brownies are a lie but at least they're like cake? 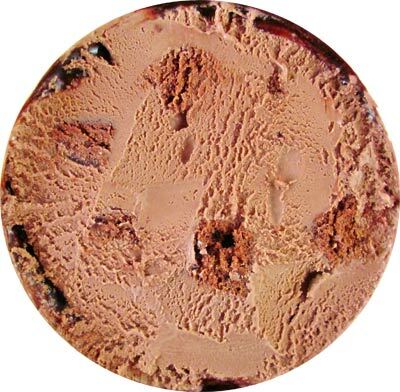 Can you review Walgreens Cinnamon Bun Ice Cream to see how it compares to B&J's? Btyson and stride, a review for cinnamon buns will be up in the near future.